Five simple ways to channel your inner Da Vinci at college. 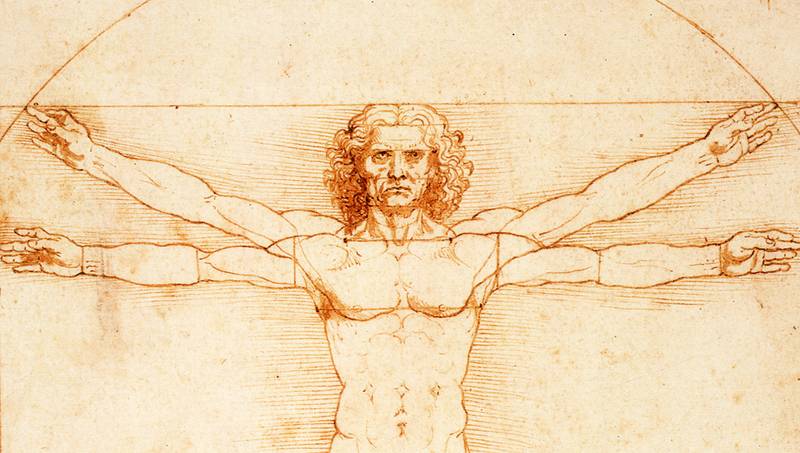 Leonardo Da Vinci was perhaps the original Renaissance Man. It seemed there was nothing he could not do: Create a masterful work of art that would be studied for centuries? Did that. Produce startlingly accurate anatomical drawings hundreds of years ahead of everyone else? Did that. 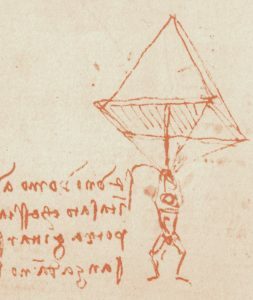 Design a tested, functional parachute 500 years before it could even be used? Did that. I could go on of course. Leonardo’s accomplishments could fill a whole book. He was a true polymath. It’s easy to think that Leonardo was in some way superhuman, that his genius intellect far exceeds what we mere mortals could even dream of. After all, it’s impossible for you and me to do all of those impressive things, right? Well, yes and no. Leonardo was obviously special, and an intellect of his caliber doesn’t come along very often. But that was only one of the things that made him who he was. The truly revolutionary thing about Da Vinci was that he was completely unafraid to be original. As he once said himself, “Nothing strengthens authority so much as silence.” The truth is that Leonardo never went looking to be the greatest polymath in the Western Tradition; he simply indulged his curiosity without fear of the consequences. This is an avenue that is open to everyone, not just supergeniuses. Not everyone can be Leonardo, but everyone can find some degree of happiness and fulfillment in pursuing the things that awaken their curiosity, no matter what they may be. Too often, in an effort to identify with a group and fit in, college students deny themselves the opportunity to explore their own interests (which is a bit ironic considering that college exists for the very purpose of allowing students to do so). One may be an athlete, or a pre-med or a theatre nerd, but not all of the above. People aren’t that simple. You don’t have to be Leonardo Da Vinci to be interested in more than one thing. 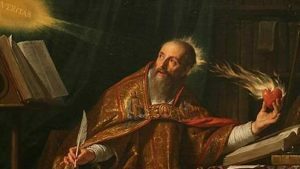 So without further ado, here are five suggestions on how to channel your inner Renaissance Man or Woman. It’s easy to fall into the rut of identifying what you’re good at and sticking to it like glue, only expanding into other disciplines to fulfill graduation requirements. Try not to fall into this trap. Obviously, you should major in something you enjoy and learn it inside and out, but don’t neglect your other interests. College is likely the only chapter in your life when you’ll have time to dedicate to learning about things that interest you, so don’t spend your entire course load on accounting. Try something new and interesting every now and then; those are the classes that will stick with you for a lifetime. Learning is not relegated to the classroom; in fact, most learning takes place outside of it. One of the extracurricular ways that one learns about the world is through friends. The more intelligent, curious and all around interesting people you have for friends, the more you will learn yourself. Here’s a good example: an old friend of mine is deeply interested in American politics. He’s a conservative self-avowed member of the Tea Party movement, and if you let him, he will defend his beliefs for hours on end. As I made friends with this person, I often discovered discrepancy in our beliefs, and so I was forced to engage with his viewpoints. Sometimes he convinced me, sometimes I convinced him, but either way we were both developing our political acumen. This is just one example. It doesn’t matter whether you’re talking about politics, basketball, basket weaving, or any number of other topics. The point is that finding friends who are deeply interested in something will develop your own astuteness in that area, and so will set you on the path to becoming a polymath. This suggestion goes hand in hand with my prior one. A necessary component of developing and maintaining healthy friendships is a firm grasp of the lost art of conversation. In the age of social media, face-to-face contact is becoming increasingly undervalued, and as such people are losing the ability to be fully engaged and attentive during a conversation. How many times have you been in a room where everyone is on his phone ignoring the people right in front of him? The fact is that when you put your phone away and take the time to be focused and have a conversation with someone, you learn a very interesting thing: Everyone has a story to tell. Perhaps it sounds cliché, but the fact is it’s true. Each person has a unique trajectory to their life and a panoply of interesting stories to tell, and you will never hear any of them if you’re staring at your phone checking your e-mail for the tenth time. So put the phone in your pocket and listen closely. You might just learn something. The value of travel in broadening one’s knowledge of the world is almost inestimable. In travelling to a new and foreign place, you get to expose yourself to a different culture, one with different values and customs than your own. You get to see what makes other people tick, and in doing so you learn both about them and about yourself. This experience can be invaluable in sparking curiosity, and curiosity is at the heart of what it is to be a Renaissance Man. My final piece of advice is both the simplest to understand and yet the hardest to follow. At the end of the day, what made Leonardo Da Vinci who he was was his willingness to indulge his curiosity. He was not content to push such idle concerns to the backburner so that he could focus on his work, but rather he made his curiosity his work. This is a luxury that most people cannot afford today, but we can all learn from Da Vinci’s spirit. Especially in college, a place specially designed to provide students with a venue to ask questions and learn as much as possible, let your curiosity take the wheel, and then maybe you’ll be on the road to become something of a 21st century Renaissance Man.